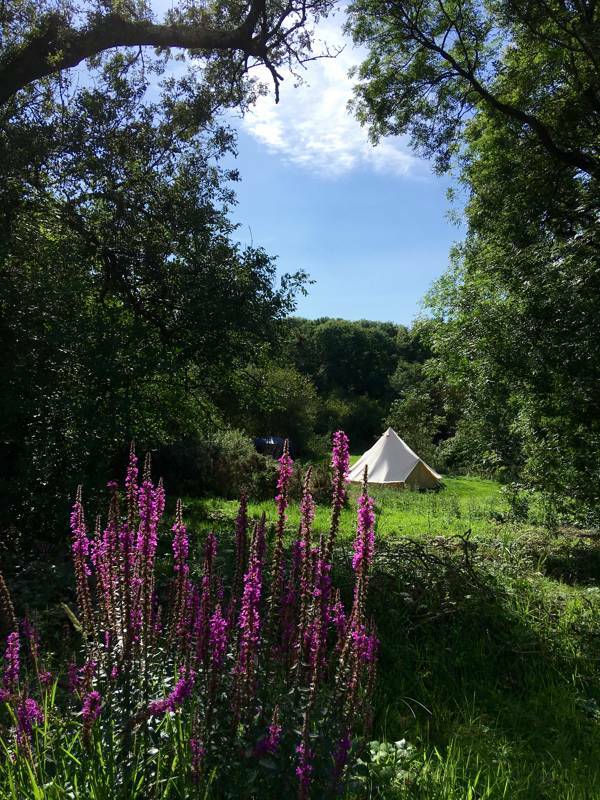 Welcome to Kitewood, offering you the most spacious, family "hideaway" woodland camping in Pembrokeshire, possibly Wales. 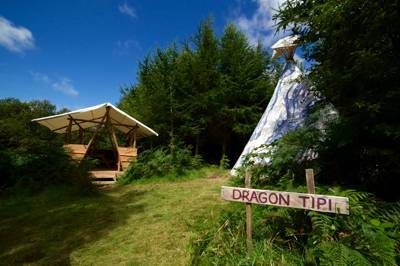 Just 10 secluded family "Hideaway wild " bring your own tent camp pitches and our Dragon Tipi set in 60 acres of woodland with campfires allowed, in fact we encourage them! 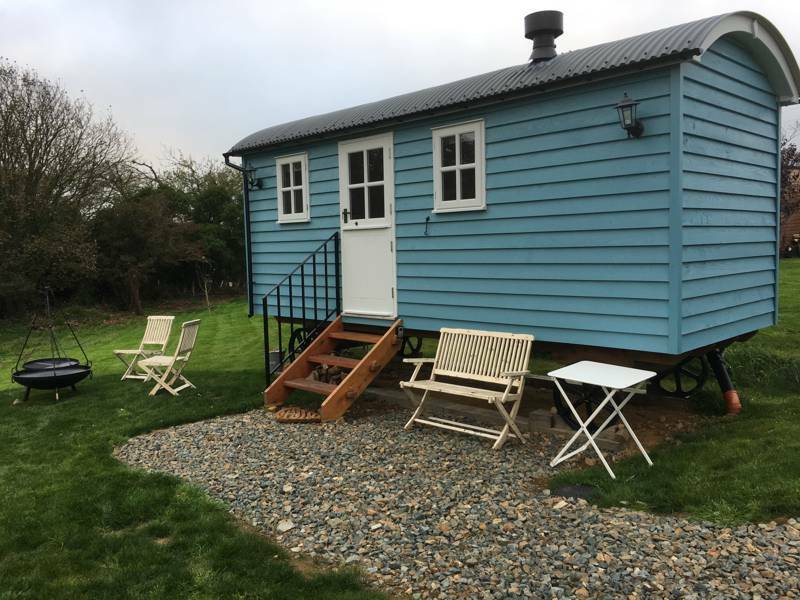 Just 2 miles from the Pembrokeshire Coast National Park and close to the beach. For latest availability and best prices for Kitewood, please use the Date Search above. The communal area ('cwtch') is the main hub. It features 2 hot showers (made from giant recycled orange juice containers), 2 tooth brushing/general body cleaning sinks, local info and picnic tables. There is a separate dish-washing area with two sinks – so there are plenty of sinks to avoid long waits with dirty dishes. Plentiful supply of complimentary firewood is up at the yard. 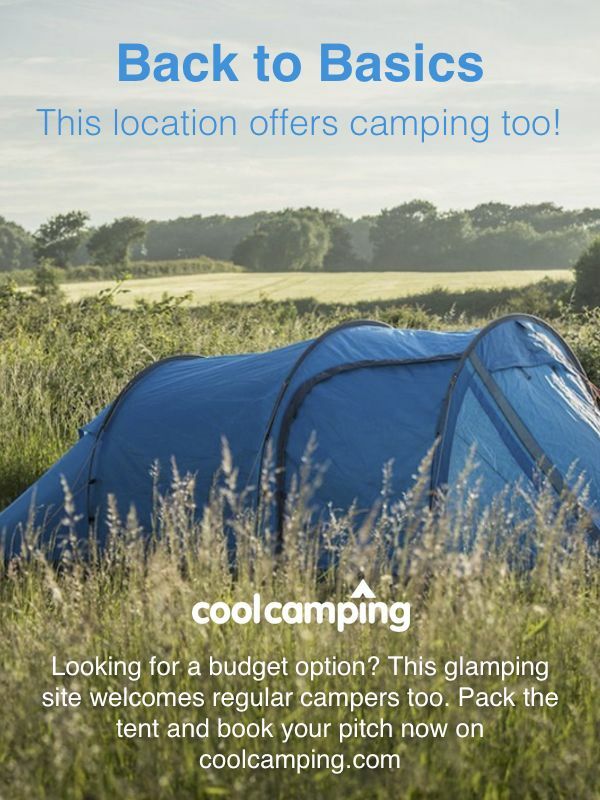 The site is off-grid so no electricity, no fridge or mains power to charge items. Ice is available for cool boxes. There is an 'ipoo' composting toilet at each pitch. 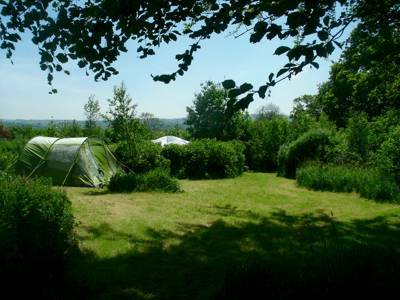 Bushcraft courses are held once a week. There are a few items of beach kit that are leant out on a first-come-first-served basis that includes, body boards, buckets, spades and rock pooling nets. 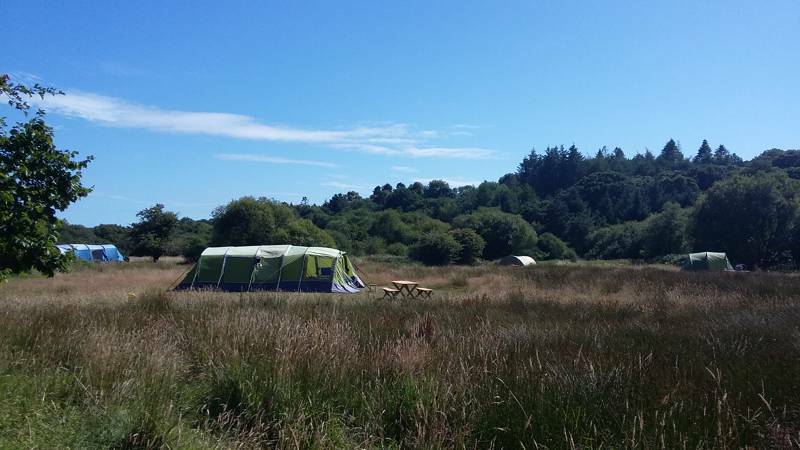 Kitewood is set just a mile or so from the coast and the Pembrokeshire Coast National Path, so there are breathtaking beaches nearby (around 15–30 mins drive for most). The nearest, Goodwick Sands, is a family-friendly town beach which is only a 5 minute drive or 40 minute walk away. There's also the spectacular sandy stretch at Newport Sands (locally known as Traeth Mawr or Big Beach) and Druidstone further along towards St Davids – the UK's smallest city. 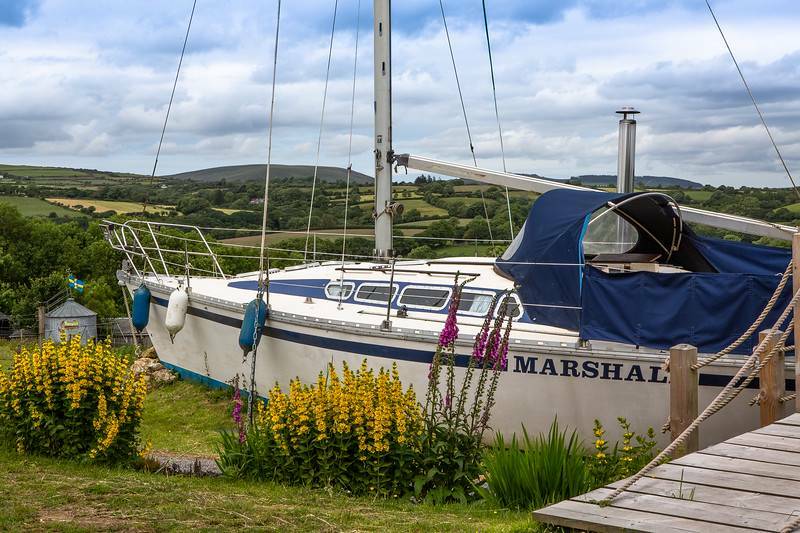 Fishguard is within a 20 minutes walk and there are shops for all your provisioning and day to day needs. Fishguard is within walking distance, where view-tastic BarFive (01348 875050), overlooks the harbour – a place for a quiet drink rather than good food – and JT at 3 Main Street (01348 492185) offers good cocktails. The recently refurnished Royal Oak (01348 218632) has low beams and a notable plaque commemorating the defeat of a bizarre french raid in 1797 (the peace treaty was signed in the pub), while daytime bites are found in Gourmet Pig (01348 874404; the best coffee in the village) and the freshest local produce at Mannings Grocers (01348 874100). For fish and chips and homemade ice-cream Hooked@31 (01348 874657) is the one. When the weather's at its best, it's well worth the 15-minute drive to Pwllgwaelod Beach for the very last views of the evening sun at the characterful Old Sailors (01348 811491) – a classic, quiet smugglers pub dating from 1593, with views from the garden across Fishguard Bay. From the end of the M4: Follow the A40 from the end of the motorway through Haverfordwest towards Fishguard. Just before reaching Fishguard on the A40, between Haverfordwest and Fishguard, turn left where the brown sign shows camping (this isn't for Kitewood). Follow this road for approximately 1/2 mile. The entrance is on your left with a small sign "Kitewood". From Fishguard: Take the A40 out towards Haverfordwest. 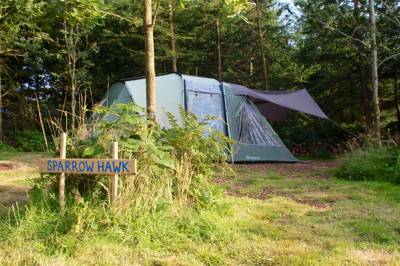 As soon as you leave the roundabout, there is a brown sign that shows camping. Then, as above. Alternatively use the postcode SA65 9QF and the entrance is opposite the only two little cottages beside the road. 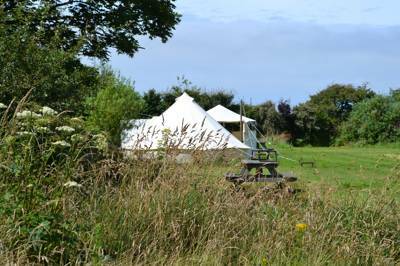 Just 9 pitches and 1 tipi in 60 acres!